Bhavin joined ADS in July 2017 as International Market Manager, supporting the security sector’s export activities. This role encompasses developing relationships with UK Government and creating an international programme of events which meets the needs of the sector. He also researches new export markets and recent reports have identified opportunities in the Italian, Spanish, French and Polish security markets. Bhavin has forged some very strong relationships with the Department for International Trade Defence and Security Organisation (DIT DSO) and the Foreign Commonwealth Office (FCO) which have led to some very successful Public Security Exhibitions (PSEs) in Italy, Belgium, Poland and Spain. He continues to work with our members and UK Government to identify export opportunities in the security sector and develop an international programme of events consisting of PSEs and UK Pavilions at major security exhibitions. The responsibility for the smooth running of the Security Export Focus Group (SEFG) also comes under Bhavin’s remit. An ADS Special Interest Group, and chaired by Dr Budgie Dhanda, the principal aim of the group is to enhance the export performance of member companies more widely across world markets. The SEFG provides a forum to assist in all export matters, introduce companies to new markets and develop the international events programme. Prior to joining ADS, Bhavin’s experiences were mainly in the defence sector. 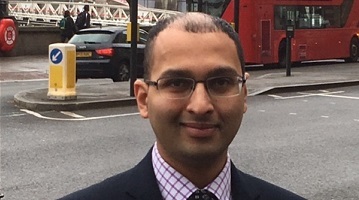 In 2009 Bhavin joined Selex Galileo (now Leonardo) establishing himself as the India Electronic Warfare Campaign Manager and later joined Lockheed Martin UK as the Tactical Data Links (TDL) Sales Manager. He has effectively applied his defence experiences in his role at ADS. Bhavin is based in the London office and travels to the Farnborough office and members’ sites when required.